new screens from the upcoming 3DS title, plus a revealing new trailer. See Super Mario 3D Land's plane-shifting action and a glimpse at the returning tanooki suit in a new trailer. 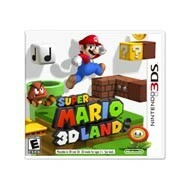 up Super Mario for the 3DS and discovered it is a fun hybrid of both.